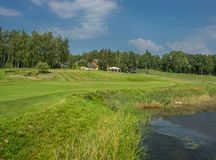 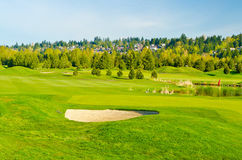 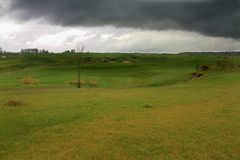 Golf course with green, sand trap and lake with cloudscape in background. 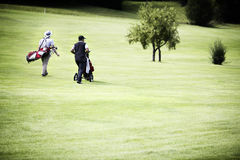 Men walking at golf course with bags. 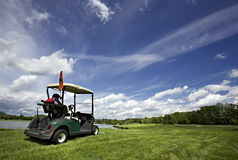 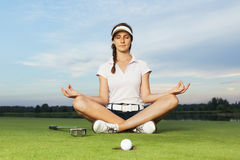 Golf cart on golf course and wonderful cloudy sky Golfer sitting in yoga posture on golf course. 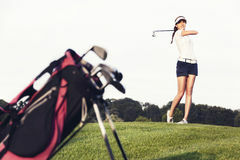 Girl golf player on golf course. 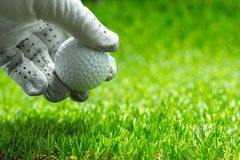 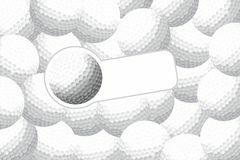 Girl golfer hitting the ball on golf course. 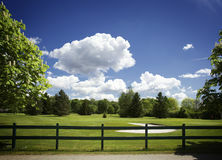 Bunker on golf course, fence and cloudy sky Woman pitching at golf course. 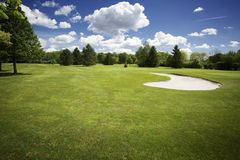 Bunker on golf course and cloudy sky Girl golfer walking on golf course with golf bag. 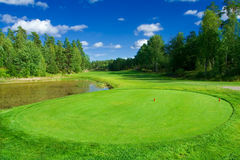 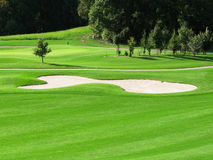 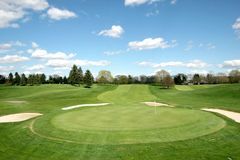 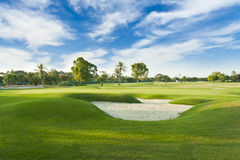 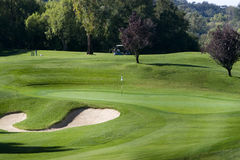 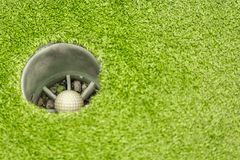 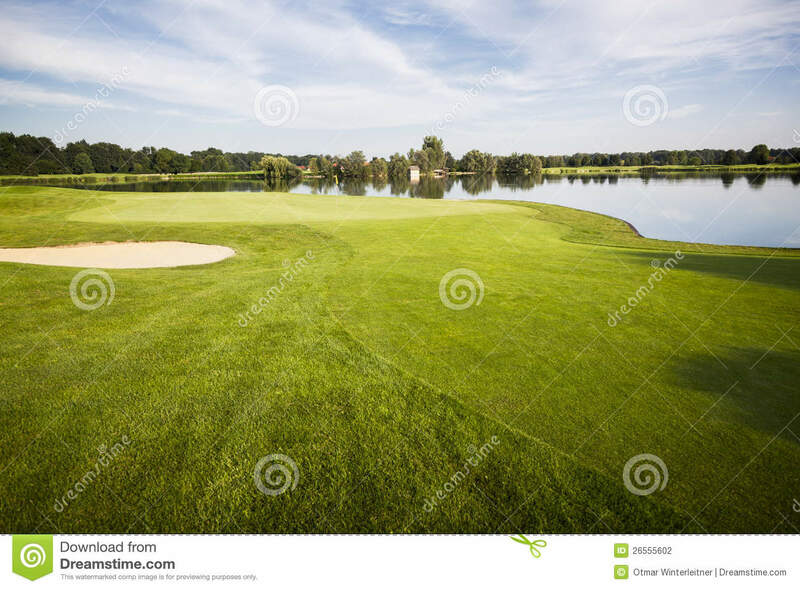 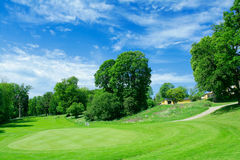 Golf course with green.Golf course with green.